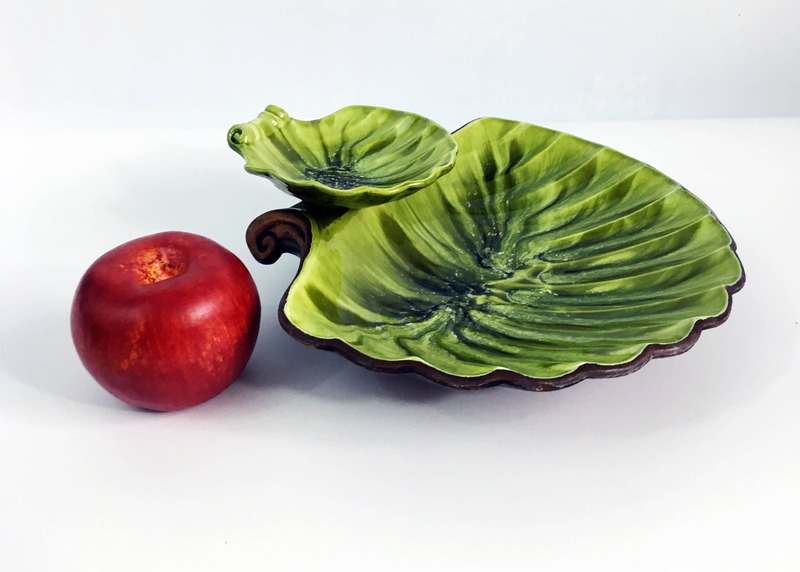 Shell shaped green speckled chip and dip set that was made by Treasure Craft Company - see note below about Treasure Craft Co. 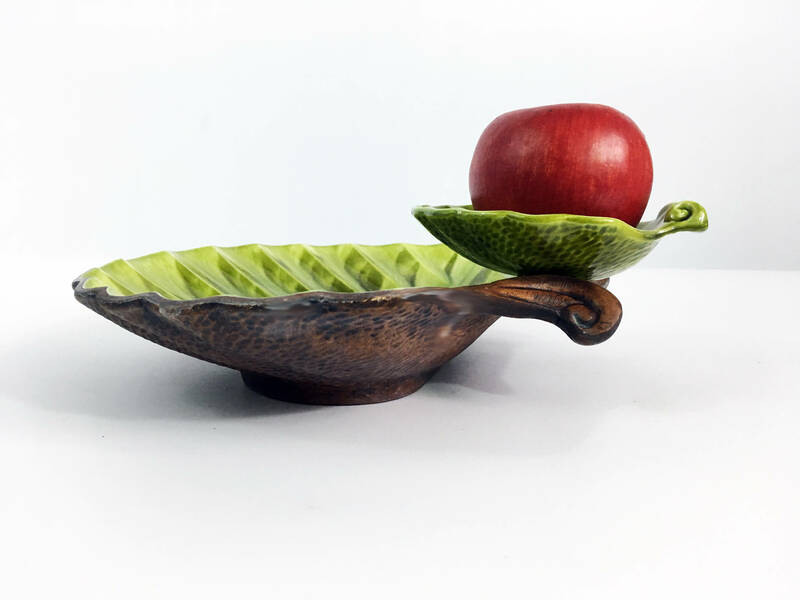 The 2 tiered pottery chip and dip serving piece has a multi colored top surface that has shades of dark green, avocado green and light green with some white speckles in there as well. The bottom is a textured brown surface. The top is a shiny smooth surface while the bottom is a matte brown with a dotted type of pattern on it. The bottom says TREASURE CRAFT with a Copyright Symbol and MADE IN USA. 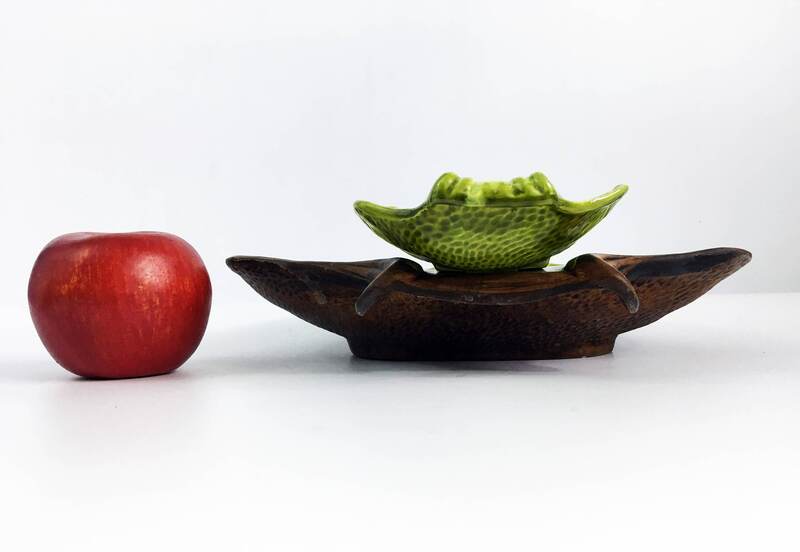 The bowl measures 11" across at the widest point. The shall shell on top (the dip portion) measures about 5" across. This serving piece from the mid century is about 3 1/2" in height. Treasure Craft Company was at one time California's largest pottery producer. Treasure Craft was founded in 1945 by Alfred A. Levin. 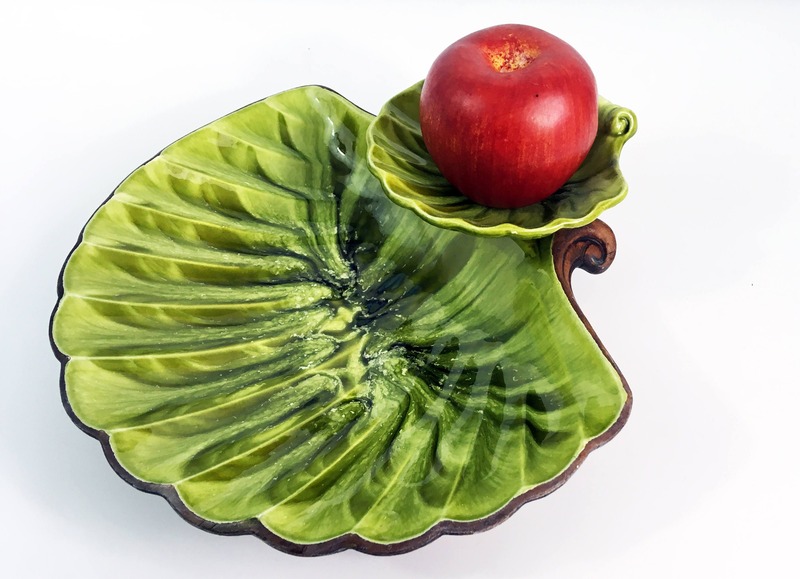 Levin began his business by selling items manufactured by local California potters, setting up a shop in Gardena, California. 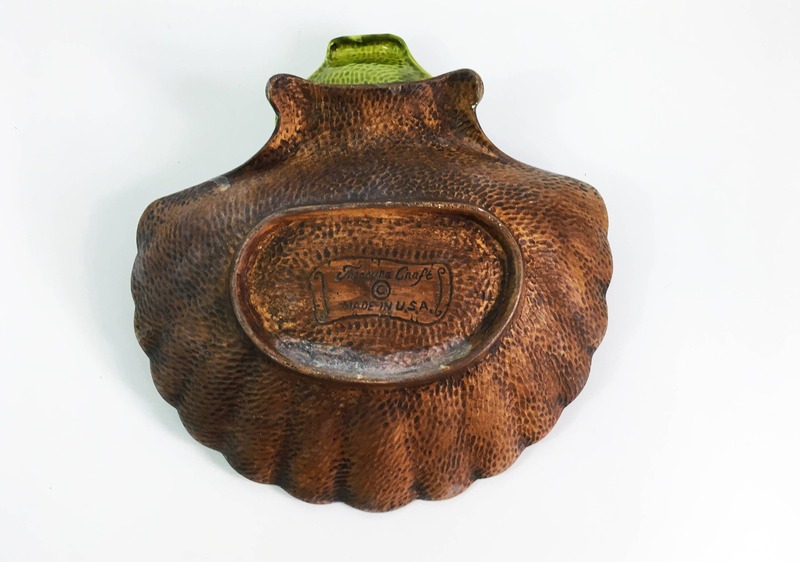 Treasure Craft was a popular maker of stone pottery, which included cookie jars, dinnerware and collectibles by well-known sculptors such as Robert Maxwell and Don Winton. It went out of business in 1995.